I found my “Happy Place” as they call it in a rather unexpected way. Specifically it was in the middle of labour as I was preparing to birth our first child. If you are not a fan of Birth Stories, please feel free to skip this page. How ever if you want to know how you can find your happy place in the middle of a rather challenging situation. 🙂 feel free to read on. So like most new Mom’s I had ALL THE FEARS. My Panick Attacks got worse the closer I got to birthing baby. I was freaking out and kinda all over the place. 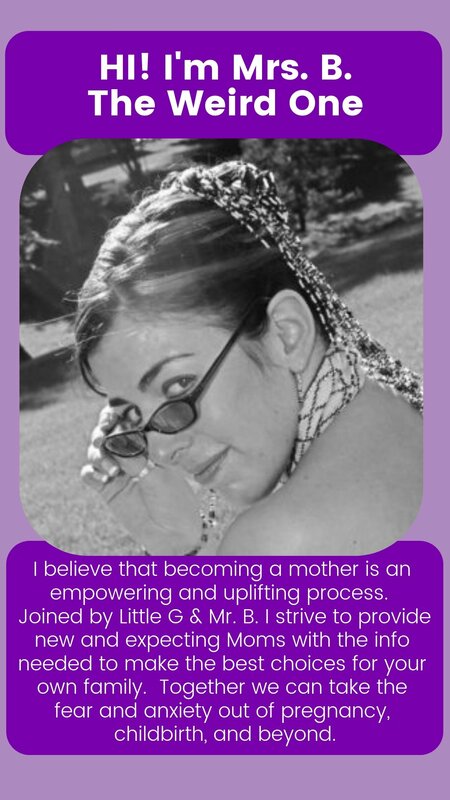 By about 4 months we had secured our Doula team (seriously best choice we made EVER!). They were recommending that I work with a Midwife, which freaked me out cause I didn’t understand midwifery at all. And of course I had all the regular fears about labour and delivery. With a heavy dose of all my background and abuse issues thrown in for good measure. Now if you’ve been reading along with this blog, you will know already how great everything turns out! Because my Maternity Leave really helped me build a better relationship with myself. But before all the good stuff and the joy I was barely holding it together. I was scared that something would happen and someone would make a decision for me that I didn’t want… and I would lose control over what happened to my body. I was scared that kiddo would need some assistance after birth and would be taken away from me. Heck these days this one still crops up and he is over 2 years old. There was a lot of negative stuff, just bouncing around in my head telling me all sorts of negative things about what was coming and how I would not be respected, or treated with respect. Most people didn’t want to hear what I was saying, I don’t think many of them understood the effects of the panic and what it was doing to me. I ended up using the best labor advice I’ve ever found often to keep me as calm as I could be. But I still had meltdowns and freak outs over a number of things. We even had an incident that centered around one of our family friends teasing me that Hubs wouldn’t be in the Delivery Room which he wouldn’t drop. I had a panic attack to the point that I swore in front of kids to get the gentleman in question to shut up. Hubs unknowingly belittled my distress by saying it was just teasing. Over the next few months, it resulted in me avoiding going to that house and spending any time there. Even after kiddo was born I found it difficult to make time for those friends as I felt uncomfortable and entirely disrespected by them. It wasn’t until recently that hubs even figured out that this was such a big deal for me. We had a good conversation and made a plan to help me express what I’m dealing with in those situations in case I ever need an out or support again. But the point is I had lots of “triggering” issues stemming from lack of control and lack of safety. Hubs had already become my safe spot in life. Now things were going to change (having a kid does that). But I didn’t know how I could adapt to it with all the fear bouncing in my head. In this situation, I needed the whole team to be there when I found that sweet spot called my happy place. While that included my husband, doula, and midwife you won’t necessarily have those people around you for this. What you’re looking for are people you trust and feel safe with. At this point hubs and I had known each other for years, we were well past the “Trust Talk” and he was proving to be one person I always felt safe around (still do btw). I found courage in his presence. Then there was my Midwife, honestly the first time I met her I didn’t like her. She hugged me almost right away, and I hate being touched by strangers. But you get who you get when you go into labor and she was the one on call that day. Turns out it was great to have her. And my dislike was entirely irrational. She explained what was happening in a calm even voice as we progressed after getting to the Birth Centre. This foreknowledge of what was coming made it easier to let go of the worry/anxiety. It allowed my mind to be quiet. You can see our midwife in the background of the photo. And finally, there was my Doula, in our case I got exactly the one I wanted. 🙂 Seriously she gave me most of The Hands-Down Best Labor Advice I Ever before I even went INTO labor! Over the previous months we had bonded to become friends, and really I think she is an absolutely amazing friend even now. But then I looked to her as a calm center in a storm. Her main focus was to keep me comfortable, whereas the Midwife was in charge of all things medical, and hubs was there for my Mental support/safety/focus point. Our Doula is taking the photo, she thought of so many things that I might want before I knew I might want them. As a result I felt like my wishes would be respected. She gave me back my right to choose, and not just in the moment but for all my future moments. The main point here is that you need to find people around you that support you. They should make it so you feel safe with them. If only in the fact that you can be yourself around them. They won’t be perfect, but they can provide a shelter when you have a rough go at things. My doula didn’t know it at the time, but when she snapped this photo she caught me right in the middle of my happy place. The photo is taken about 30 minutes or less before baby boy made his grand entrance into this world. The part that makes it my Happy Place is that I had set my conscious mind aside and let my body take over. Here you can see my husband providing support and encouragement by touching our foreheads together. It is possibly one of the most intimate moments of my life. I was so totally in the moment that I didn’t even feel the contractions. Let alone pain (I know to most people this will sound strange but you can read about my full birth story here). It felt more like I was working out my abs then what I had previously expected it would with all the stories I had heard about how painful it was. Funny thing that, stories people tell you don’t always happen for you the same way. However, I remember a point in my labor where I told myself. And I will admit that there may very well have been some pain. But for some reason, my body didn’t pass that message along to my brain. I found I was capable of relaxing, and of course, people in the room mentioned later that I hummed my throughough the delivery. (I sing when I’m relaxed, it’s a reflex…) so what does that tell you? In all likelihood, my body had taking over and was telling my mind what to do. Not the other way around. And I came out the other end with out a tear and a 9lb 1oz baby boy who is a light in my life. In order to know what a happy place is you will need to define it for yourself. I define it as a space where I feel supported, and cared for, and am able to make my own choices and feel safe with the actions I am taking. It is a place where I feel totally in touch with my body and the present moment. I know most people say you should have an actual place in mind so you can visualize it. I choose this sense of feeling because I physically can’t always GO to a place. While visualizations are great they don’t tend to help me as much in a panic attack. But I can always call up in my mind the sense of calm centred knowing that happened when I found this spot in the middle of Labour. You guessed it, my happy place helps me stay calm and centred. I use it regularly to bring me back to myself and it is the place from which I figured out many of the details of what I want in this life. It is my go to space when I’m feeling Overwhelmed and Exhausted as it recharges my batteries like no other trick. And in the middle of a Panic Attack, I can call up the sensation of my husband placing his forehead on mine. Well most of the time. If not it’s usually fairly simple to get him to help me out. This has led to me feeling more in control of my own life. And I’ve taken back many a moment in the 2 years since my baby was born. Heck now that kiddo is older, I can even get him to give me a quick kiss on the forehead to help me focus my attention on the sensation and avert an attack. So I challenge you, to define your happy place, how did you find it? I’d love to hear from you.